We enable travelers to stay at unexplored destinations hidden in the mountains. Mountain homestays is a community empowerment initiative that focuses on promoting rural destinations by developing homestays in partnership with the locals. The focus is on reaching out to communities living in the remotest parts of the Himalayan belt in India, such as in Ladakh region in northern India, to promote sustainable and inclusive progress. Homestays based tourism has multifold benefits to the local communities. It allows a consistent flow of travelers to the rural economies thus creating multiple opportunities of livelihood for the locals. By creating livelihood opportunities at the doorsteps of these isolated villages, we can help curb the major issues of urban migration and cultural loss while enabling their aspirations for a promising future. We are creating livelihood in the offbeat mountain destinations through community-based tourism. In partnership with the locals, we have developed quality homestays in villages to enable income through tourism. By creating new offbeat destinations we are promoting local handicraft and centuries-old heritage sites in the villages. We organize themed excursions for travelers to villages on local heritage, history, and handicrafts. Mountain Homestays are managed and run by village women, thus helping them with doorstep income and making them more confident and independent. We train these women in hospitality and hygiene to take care of the guests. 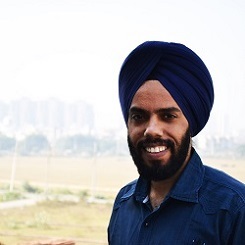 Gaganpreet is an avid adventurer, marathoner and nature lover. He has trekked extensively in the Himalayas and worked on wildlife conservation in Eastern Ghats of India. After participating in GHE 2015, he quit his corporate job to work with the rural communities for innovative ideas on empowering rural communities through technology and homestay based tourism. 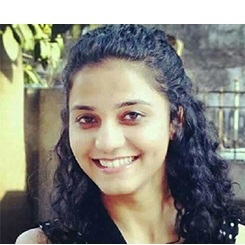 Manjiri is a graduate from Monash University, Australia with masters in Sustainable Tourism management. An experienced sustainable tourism professional, Manjiri has a strong belief in practicing tourism to bring out change and leave positive footprints. Her experience in Ecotourism in Australia has enabled her to gain an insight into the impacts of community tourism. 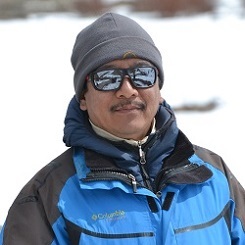 Mr.Sonam Nurbu is Mountain Homestay leader for the Markha valley autonomous region. He is also the counselor of this region which has 13 villages, majority of them lie inside the Hemis National Park. Mr.Sonam’s role has been pivotal in our solar electrifications and homestay development in the Markha villages and handles all the ground coordination work for Mountain Homestays. 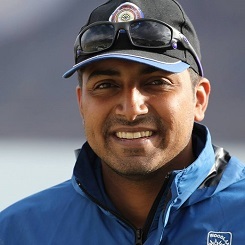 Paras Loomba is the Founder of the Global Himalayan Expedition. After a successful International Antarctica Expedition in 2012, led by Robert Swan, Paras quit his corporate job to work in the field of sustainable rural development. Passionate about cutting edge technologies, Paras is actively involved in providing solar based electrification to rural India. Far far away, behind the mountains far from the world, there are some hidden cultures. Copyright 2019 Mountain Homestays, All Right Reserved.